Possibly a strong finish for the Divergent Games! Of course, we won’t know just how well it finishes until the second part. Surprisingly, The Divergent Series: Allegiant part 1 provides fans with a good start to a well-executed conclusion. After the weak sequel, it was quite unexpected that the series would begin to complete this YA series on such a high note. 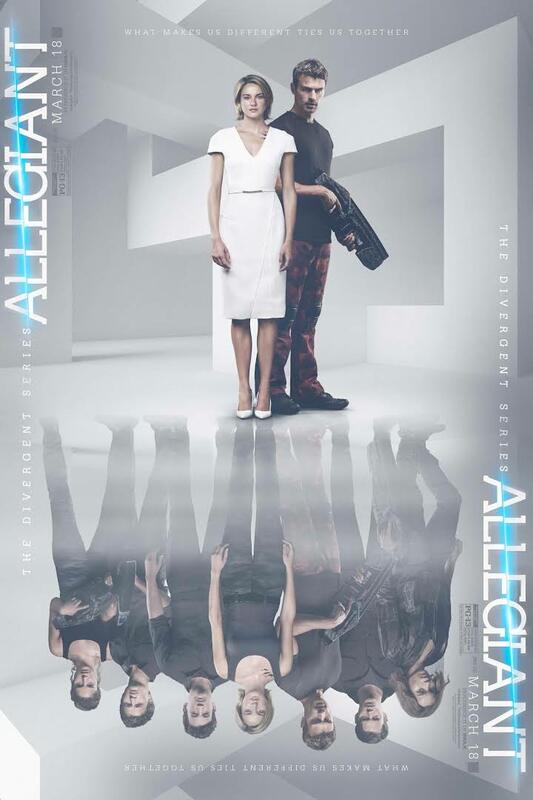 Unlike the disappointing conclusion of The Hunger Games, Allegiant brings back your favorite characters you love and love to hate in a very satisfying ending in the dystopian adventure to rescue a people from themselves. At the end of the day, the Divergent series will never be as successful or generate the same fandom as The Hunger Games; but simply comparing the last two films in both franchises, this is clearly the superior finish (or should be). Although Roth’s socio-political themes and subtext were fairly clear, all be it still weak, in the first two films, the message is a little vague and incoherent in Allegiant. Two YA franchises down and one to go. We will just have to see what lies in store for the Maze Runner series. Just like the Divergent series has a week middle, hopefully the weak sequel in The Maze Runner will pave the way for a strong conclusion as well. One thing is for sure, Allegiant contains far more action than the previous films which almost makes the weak and still completely explained plot worth the approximate 2-hour run time. The first part of the final chapter in the Divergent Series takes us beyond the wall into a desolate wasteland. Follow Beatrice/Tris (Shailene Woodley), Four (Theo James), Caleb (Ansel Elgort), Peter (Miles Teller), and Christina (Zoe Kravitz) as they embark on a journey to seek help from the outside in order to stop the civil war in dystopian Chicago (or modern day Detroit). With newly asserted leader of the faction less system Evelyn (Naomi Watts) and Amity turned Allegiant leader Johanna (Octavia Spencer) at odds with one another, war is brewing in the streets and all hell is about to break loose. Barely escaping Evelyn’s security team, Tris and her band are rescued by a team from an organization of pure bloods who oversees the “Chicago Experiment.” This group of researchers and scientists led by David (Jeff Daniels) recruits Tris and her team to develop a plan to save Chicago, or so they think. When Four discovers what is really going on, he must convince Tris and the rest of her band of rebels to make right what is going incredibly wrong. For me, and I am sure other critics, analyzing this particular series, The Hunger Games, and Maze Runner gets boring. Because, for the most part, they all have the same plot, same fallacies, and similar subtext. They are all extremely socio-political methods to spread the message that only teenagers are special and are capable of saving the world from corrupt adults. Although these movies are aimed at Generation Z (anyone born after 1995), they still attract attention from Y/Millennials (~1982-1994) and Generation Xers (~1965-1981). That is important because Generation Z does not have the spending power that generations X and Y do. In order to maximize the income potential of the films, the studios have to appeal to Generation Zers in such a way that it will also bring their Millennial friends and potentially Generation X parents. Since schools are constantly preaching the message that teenagers are the future, they are special, and uncontaminated by the greed of the world, it makes sense to create films based on books that carry that theme. The negative side effect to this approach is creating a generation(s) that automatically distrust adults and their respective decisions regarding the environment, politics, and society. Just as Allegiant depicts what happens when there is such great division among a people who view the approach to peace so very differently will devolve into a war-like state, it’s entirely possible that reinforcing this division between Generation Z and X/Y could symbolically arrive at the same precipice. The production value and design in Allegiant definitely outshines the prior two installments. That is important due to the fact that Roth’s political subtext definitely becomes a little muddled in this last chapter. Although there is definitely way too much cheesy CGI, it is far less than the previous film. And other than some of the outlandish technology used in the story, for the most part, the defense, security, and surveillance technology used by the various characters makes sense and is perfectly believable in their universe. There is even a real reference to 21st century earth’s scientists experimenting with the human genome. That helps to create a sense of futuristic realism in the Divergent universe. One of the biggest problems I have with the plot is the still unexplained history of how exactly the Chicago experiment began. Perhaps the director and writers did not feel it was necessary to provide a clear history through character exposition, but I am still a little confused as to how the Pure Bloods and Damaged became so incredibly separate. Another thing, if there are thousands (if not millions) of Pure Bloods in existence, then why use the Chicago Experiment as a method to see if a Pure Blood can be born out of all of it??? I guess that is why it’s not worth overly analyzing films such as this one. For what it’s worth, Allegiant is an exciting start to the last chapter in the Divergent Series! Far more entertaining than the last one. If you were disappointed by Mockingjay Part 2 than rest assured that you will definitely enjoy the conclusion of this franchise. Not a bad way to spend your Spring Break or an afternoon over the weekend. But, I wouldn’t bother seeing this film in IMAX or 3D. However, I can see some benefit to the experience of this film by watching it in a D-Box auditorium. Great review, yet I can’t say I’m a fan of these movies. Haha, neither am I. But, as you can tell, I like to review whatever the most anticipated new release is for that week. So, occasionally I see box office bombs and movies/series I’m not a fan of. Lol. Still, I try to be fair in my critical analysis. I try to do the same. I can’t always watch good movies, gotta watch some of the rubbish too.